Lancashire - I Say Ding Dong Shop - Buy Stickers, Decals & Unique Automobilia. Blackpool Pleasure Beach Travel Pennant Sticker. 4". Blackpool Stars Travel Pennant Sticker. 4". Lancashire Red Rose Circular Sticker. 3". Lancashire Red Rose Shaped Stickers. 1" Pair. 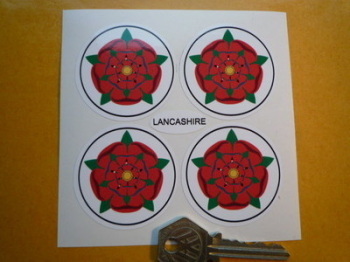 Lancashire Red Rose Wheel Centre Style Stickers. Set of 4. 50mm. Southport Travel Pennant Sticker. 4". 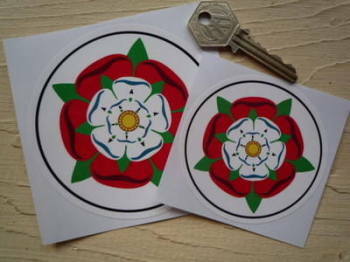 Tudor Union Rose Circular Sticker. 3" or 4".